You are here: Home / 2015 / Nothing is good or bad, there is only yin or yang. 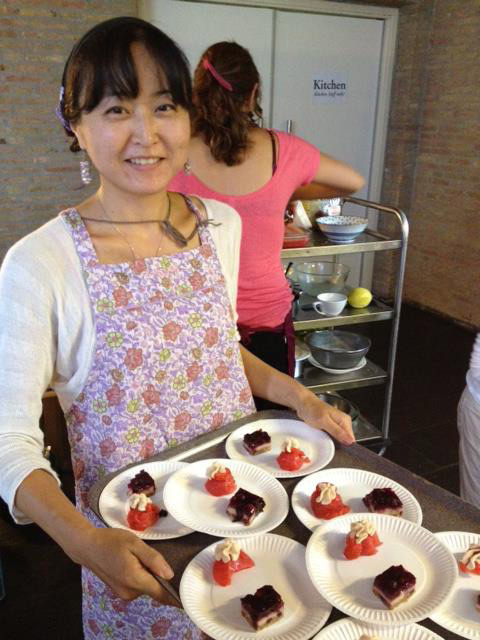 Yukiko Sato works as a private cook (vegan/macrobiotic) in Boston, Massachusetts in the US. She is the author of a yummy book: “THE PEACEFUL DESSERT BOOK” on sugar-free vegan desserts. Yukiko also has a blog with recipes. Yukiko’s view on Macrobiotics: ” I think it’s easy to be attached to the principles and become a bit psychotic about what you eat. That’s not what Macrobiotics is about, in my opinion. It’s about striving for balance through diet and lifestyle. As my favorite teacher used to say, “nothing is good or bad, there is only yin or yang”. 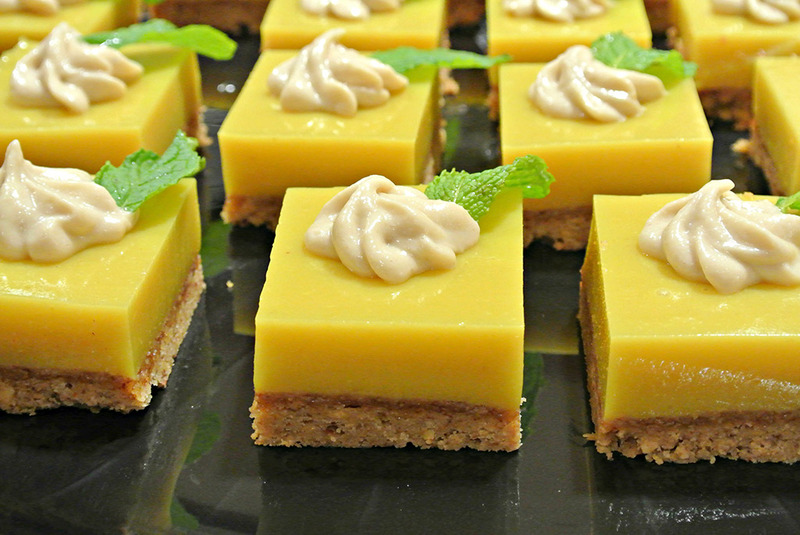 I first became interested in Macrobiotics to learn how to make sugar-free vegan desserts that don’t make you crash after eating them. After studying and working at the Kushi Institute in Becket, Massachusetts, and meeting many people overcoming their health issues, I was convinced that the macrobiotic lifestyle is the way to go. I think I am more conscious about how the food I eat affects me, both on a physical and emotional level. I try to adjust my diet based on how I feel, like eating more greens and avoiding baked flour when I’m congested or feeling a little down. Have you changed a lot about the way you live? In retrospect, I think so. I eat regular meals at regular times and I go to bed early and rise early. 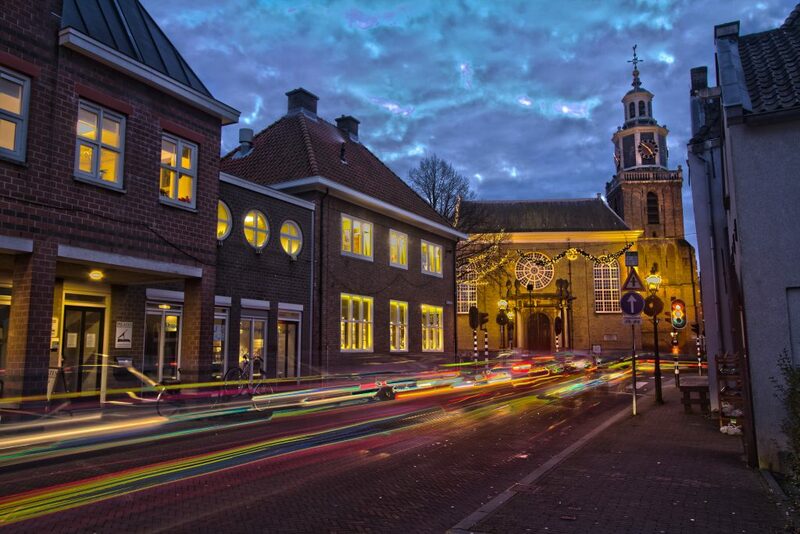 I walk more. I enjoy nature more. Socializing with people without alienating yourself. Eating is a big part of socializing and I find that not eating the same food as others, as unintentional as it may be, can create a bit of a distance between you and them. I am more conscious about what I wear, including clothing, shoes and even skin care products and makeup. I do avoid animal-derived products. Luchi Baranda, who was one of the teachers at the Kushi Institute in Becket. She had a certain glow and aura that was coming from within, and I just loved her character and attitude for life. 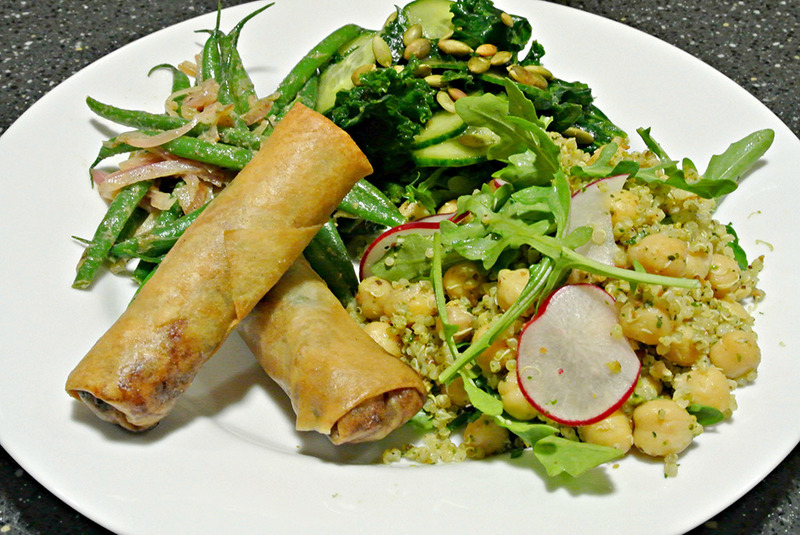 I eat whole grains, beans and a variety of vegetables. I do have some cravings here and there but nothing that can’t be satisfied within a plant-based diet. How has Macrobiotics changed you physically and mentally? Can you give us an example? Macrobiotics really opened me up. I used to be very introverted and self-conscious, so much so that people that met me in the beginning of my macro years thought I couldn’t speak English. I am still a bit shy and not good at promoting myself, but I think I have more courage and confidence than before. Vegan and sugar free and delicious! Maybe a little bit. I think a lot of people associate it more with brown food that has no sensory appeal. Maybe the fact that there are limited options when it comes to eating out. But even so, I get by somehow so it’s not a big deal. Have you done courses in Macrobiotics? If so, where? I finished two and a half levels of the Macrobiotic Leadership Program at the Kushi Institute in Becket, MA. Is there a sport you practice? If so, what is it and can you tell me more about it? I took some yoga classes back when I was in college, about 15 years ago. I still practice it here and there. Have you done Pilates before? If so, what did you think? I’ve done yoga that incorporates some elements of Pilates without using any machines. It really made sense to me to strengthen your core and I remember enjoying it. What is your dream/goal in life? How are you going to make sure you achieve that or have you already achieved it? Cooking in peace is my dream. It’s not very easy when you do it as “work,” which adds some stress. I try to keep a healthy work/life balance and set some boundaries. I try not to push myself too much because I have burned out and then cooking becomes more of a chore. The food I cook is often the reflection of my state of mind. Yes! 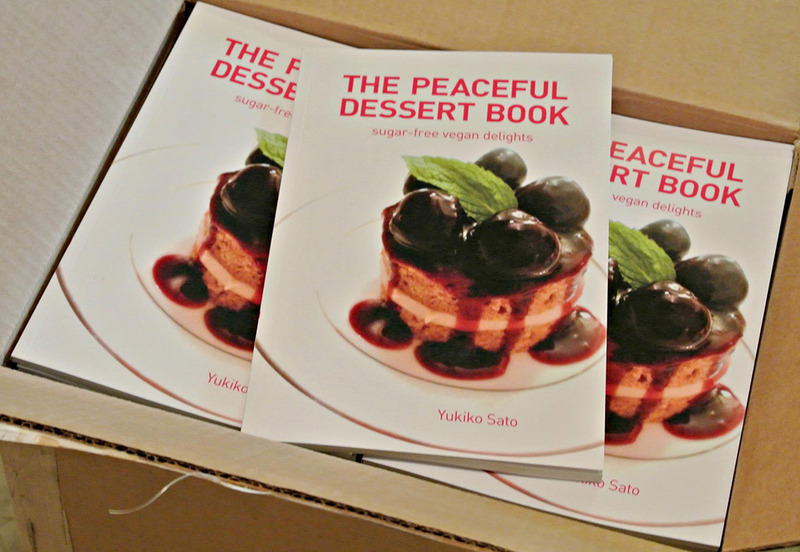 I have a book on sugar-free vegan desserts titled “THE PEACEFUL DESSERT BOOK.” It’s a compilation of my work back when I worked at the Kushi Institute as a chef. I have a blog with recipes. It’s a nice way to connect with people, macro or not. I have gotten positive feedback from people that tried the recipes and that motivates me to write more and stay inspired.